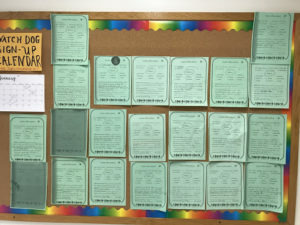 The “green” positive office referral forms keep coming in as students are recognized for exceptional acts of courage, perseverance, responsibility, honesty, and self-control. Some are given for displaying exemplary teamwork skills and positive attitudes. Thirteen out of fifteen classrooms had only excused absences during the week of January 7th. 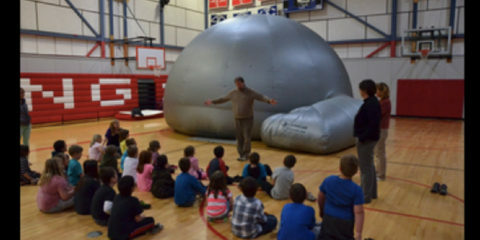 Five classrooms received stars for perfect attendance! 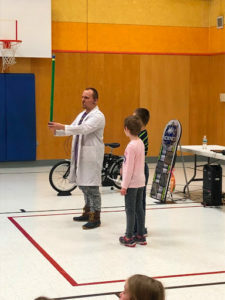 The Mad Scientist visited China Primary on January 25th to teach us about energy. We learned about different kinds of energy. 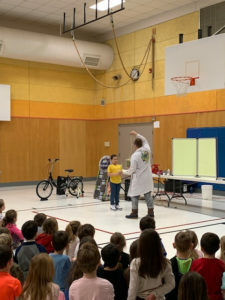 We saw awesome experiments and got to be a part of them! 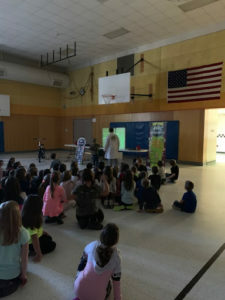 Third and Fourth-grade guidance classes used the A(assess)B(brainstorm)C(Choose)D(do) E (evaluate) model of decision making to come up with their community service projects. On December 21st Ms. Whitlock’s class surprised Mr. Emile, our day custodian with a basket of goodies as part of their community service project. 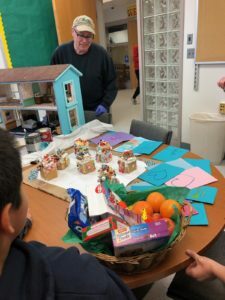 They also made a village of gingerbread houses and thank you cards for all that Mr. Emile does for our school. 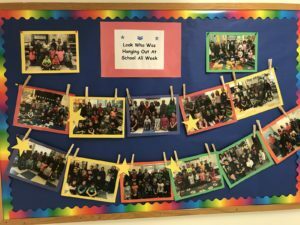 During the week of December 10th, Mrs. Babson’s fourth-grade class sponsored a spirit week. They help raise $44.00 on Pet Day for the local humane society. 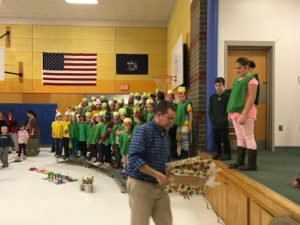 On December 13, 2019, the third and fourth graders performed a holiday musical written and directed by our music teacher, Mr. Bickford. 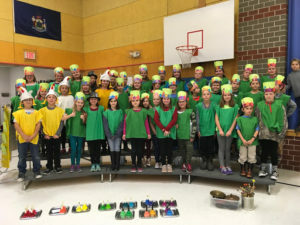 This was the first public performance for our new, this year, fourth-grade chorus. 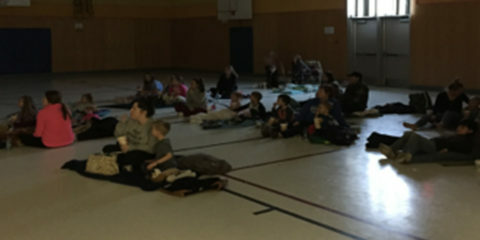 Students had acting parts, played bells, music sticks and recorders and sang a variety of songs. 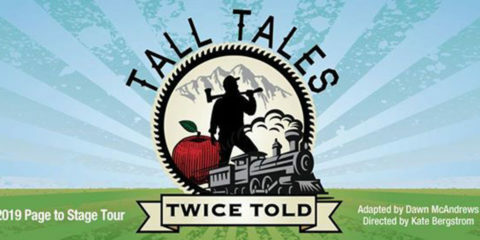 The evening performance was well attended with several positive reviews.